This item has been downloaded 2642 times. Go glidin` over Florida... or soarin` over California... or just gracefully sail through the skies in this hang glider model. The adventures are up to you! 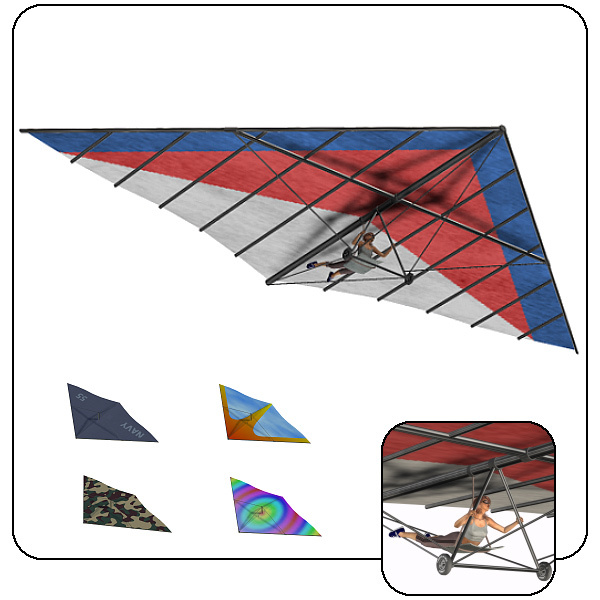 Includes: Hang Glider model, five textures (and MAT poses), and one position pose for V3. This item is available as a free download on Content Paradise.